If you’ve been injured while riding in a vehicle anywhere in Florida, contact this Fort Lauderdale Passenger Injury/Death Car Accident Lawyer. While oftentimes necessary, riding in a vehicle can be extremely dangerous. This is especially true if the person who is driving the vehicle is a bad driver. If you’ve been hurt as a passenger in a vehicle, you may have several different options. For one, if it was a driver of another vehicle (i.e., not the vehicle that you were riding in) that caused the accident/your injuries, then you may be able to pursue a personal injury case against that other driver. If the other driver had automobile insurance, then you may be able to recover compensation from that automobile insurance policy. This will be the case if the other driver carried bodily injury (“BI”) coverage. 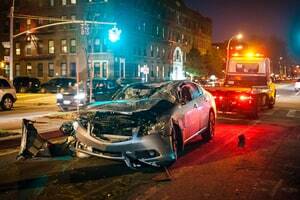 A bodily injury policy will cover injuries caused by the negligent driver. Call Mr. Quackenbush at 954-448-7288 if you’ve been hurt as a passenger in a vehicle anywhere in Florida (including Miami-Dade County, Miami, Palm Beach County and West Palm Beach). This Fort Lauderdale Passenger Injury/Death Car Accident law Firm can help to get you the compensation you deserve. Mr. Quackenbush will talk to you about your case without charging you. On the other hand, if your accident was caused by the driver of the vehicle that was carrying you, then you may be able to pursue a personal injury case against that driver. In that case, you may be able to pursue compensation from the bodily injury policy of that driver. Additionally, if the driver of the vehicle carrying you had uninsured motorist (i.e., “UM”) coverage, then you may be able to recover compensation from that policy. Uninsured motorist coverage provides coverage to an injured person if the driver that hurt them either did not have any bodily injury coverage or did not have enough. An uninsured motorist policy may also provide coverage to passengers in the car owned by the person who carried the UM policy. Additionally, if you were injured as a passenger in a vehicle, you may be able to recover compensation from the owner of the vehicle you were riding in. This would be true even if the owner is different than the person driving the car. This is based on the “dangerous instrumentality” doctrine. That is, a motor vehicle is considered to be a dangerous instrumentality. After all, serious injuries and even death can be caused by motor vehicles. Therefore, owners of motor vehicles must be careful who they lend their vehicles to. If they are not careful and instead lend their vehicles to negligent drivers, then they will be responsible for any harm caused. Therefore, if you are injured as a passenger in a motor vehicle, you may be able to pursue a case against the owner of the negligent vehicle (whether that be the vehicle you were riding in or another vehicle involved in the crash). Also, if you were injured as a passenger in a vehicle, you may be entitled to personal injury protection (“PIP”) benefits. That is, in the State of Florida, if you are involved in a car accident and you have automobile insurance, you will automatically be entitled to up to $10,000 of coverage for your medical bills or lost wages. This is true whether you are at fault for the accident or not (i.e., it is called “no fault”). If you did not have automobile insurance at the time you were injured as a passenger, then you may be entitled to P.I.P. coverage from the driver of the automobile that carried you or another at-fault vehicle involved in the accident. Mr. Quackenbush can help you if you’ve been injured as a passenger in a vehicle anywhere in Broward County (including Coconut Creek, Cooper City, Coral Springs, Dania Beach, Davie, Deerfield Beach, Hallandale Beach, Hollywood, Lauderdale-by-the-Sea, Lauderdale Lakes, Lauderhill, Lighthouse Point, Margate, Miramar, North Lauderdale, Oakland Park, Parkland, Pembroke Pines, Plantation, Pompano Beach, Southwest Ranches, Sunrise, Tamarac, West Park, Weston and Wilton Manors). If you call him at 954-448-7288, he will talk to you about your case for free.